Italy has been the main entry point for unaccompanied and separated children (UASC) in Europe over the last years. 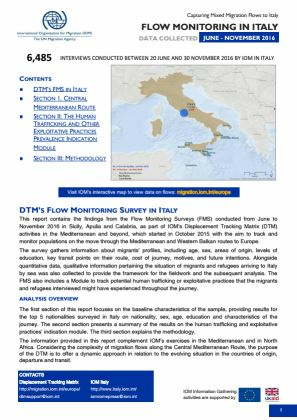 45,000 UASC arrived in Italy by sea between January 2016 and September 2018 - and continues to be also in 2018 together with Spain. 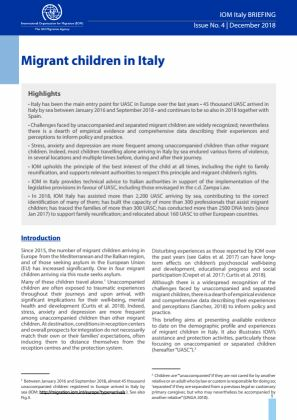 Challenges faced by unaccompanied and separated migrant children are widely recognized, nevertheless there is a dearth of empirical evidence and comprehensive data describing their experiences and perceptions to inform policy and practice.